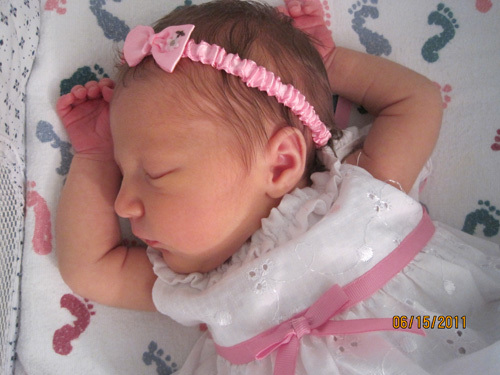 Carol Addison Starr was born on Tuesday, June 7, 2011 at 12:37 am in Peoria IL. Carol was 6 lbs. 10 oz and 19 inches long. She is welcomed home by her big brother, Cael Benjamin, 2 ½ years old. Carol is the adorable daughter of Brett and Stacy (Uphoff) Starr of East Peoria. Her maternal grandparents are Roger and Elizabeth Uphoff from Minonk, IL and paternal grandparents are Mary and Ken Weaver from Washington, IL and the late Benedict Starr. Click here for photo.